KCroots wrote: Please explain in some detail why you don’t think Main and Warwick would work. Well, it doesn't really get any synergy advantage of being close to recent development, unless you count the Fed which is a walled fortress and I wouldn't think would develop any traffic. The park is huge which means you likely wouldn't get any neighborhood traffic because you don't have any to the west or the east with the Union cemetery there. It's probably too far away from Crown Center to get foot traffic. You'd be on the future streetcar line but you would be 2-3 full blocks from the Liberty Memorial stop and the 31st Street stop. I wouldn't think there would be a strong residential demand as most young people want to be in the action and standalone developments haven't been wildly successful (see 1ParkPlace). But, I could be wrong. There are some smart people on here who might give a different assessment. Good luck in your plan! I really do appreciate your response here and find it interesting. The entire purpose of the thread is to open discussion, share ideas and offer suggestions / opinions. Sometimes we see things differently than others but that’s because perspective and experiences all vary. I’d like to respond to your post and break it apart and respond to the various points you bring up simply to stimulate further discussion. The synergy you speak of can be either good or bad depending on how you look at it. In this case sure the location is not part of / or inside any overall redevelopment such as the P&L district. So the negative of such is that you cannot ride all the hype or advertising such districts have. They have spent millions of dollars advertising to get the attention of the city. However the flip side is that riding coat tails (as I refer to it) can also have the advantage of not seeming trendy or faddish. Also look at all the issues the P&L has had regarding its dress code and other issues, all painted with a huge brush that gets any business in that district automatically caught up in. I agree with you regarding Crown Plaza being too far to gain any regular foot traffic but then again I consider Crown Plaza as being a destination place where people go to because that’s where they set out to go. You also make valid points of the parks and cemetery blocking the location in and preventing foot traffic if people did walk from the other sides of those two places. Most people drive these days, safety and convenience factors are the reason. I don’t see the area along main as being a huge draw for pedestrians but then again there’s not much there currently to cause people to want to walk. As for the Federal “Walled” Reserve, that too I agree with you won’t really cause a huge traffic flow but I think it will generate a little traffic just due to the convenient location. Maybe a few employees will want to hit the bar after work on Friday, or grab some lunch if they happen to be out and about and again it’s the convenience of the location that will be the catalyst for their meeting there. The restaurant is the same principal. How many 24 hour diners / restaurants are even near Union station or in downtown / midtown? Not many so after 10pm the chances of supply and demand would automatically put the restaurant in demand. I think the bar being next door the restaurant will also be a huge advantage for the bar as at closing time many patrons of the bar will have the option to walk (or stumble) next door to eat or drink coffee as opposed to climbing in their car to drive somewhere else. Not that the bar would be getting everyone purposely plastered but there is some comfort knowing after the bar closes you can walk next door for a hot cup of coffee or a slice of pie. In terms of the apartments I think that low rents with a great place to live with secured parking will outweigh trendiness. Today people are just more frugal out of the fact they simply are strapped as never before, and those who do have money have it because they are frugal. Most people can see through hype on new developments when rental rates are outrageous, yet some will rent due to the status of being part of the “new thing” but hat quickly wears off. What I like about the location at Main and Warwick is the potential for additional parking along the street in the back. Those are businesses so during the day sure they are occupied but at night those parking spaces are more available and very close. As for the future street car stop, well if the development was to go there at the corner of Main and Warwick, then along with the Federal Reserve and the apartments behind the proposed location a good argument could be made to create a new stop there since as you say it’s between two stops which are a good distance apart. Why stop the street car when nothing is there but the option of adding stops can always be reviewed later. Even if the street car doesn’t stop just the exposure does well in the fact its exposure. Word of mouth never hurts and people passing by on the street cars will talk to friends and even be curious to try the place one day. Out of site out of mind so exposure does help a lot! I don’t think there is any right or wrong answer here and even with the best intentions or plans things can and do still fail. That’s just the chance any development takes. beautyfromashes wrote: standalone developments haven't been wildly successful (see 1ParkPlace). I had to look up 1 park place. Just so we're on the same page, is this the One Park Place you're referring to? If so can you point me to where I can read more about the issues this property has / or is having. If this is the property I will say in its defense that such high end condos are really taking a beating everywhere and there is such a very small market for such properties. Its a tough call on these types of small specialty market / high end projects. I really like the look of the building located at 254 E 20th street. Not sure the name of the place but I like the vibe of the building. If I decide the downtown area is where this might go then I’d love to recreate something like that but not as tall. I think a modern building can be created to have the same type of vibe and look to it yet fit all my needs. Which building are you talking about? I don't see a building at that address on Google Streetview. I know OPP has had a very slow sales history. I think its primary issue is that it really isn't accessible to any urban amenities other than the park itself. It sits at the corner of one of the more pedestrian hostile intersections in the city. You aren't in close walking distance to any shopping/dining/drinking. Having the park out your door is a nice amenity but the rest of the location attributes leave a lot to be desired for someone wanting a premium urban experience. The demos they were selling to can afford to live anywhere in town so why would they choose that spot over one of the premium towers on the plaza or a really cool loft in the xroads? My bad I think I have the address wrong but the building is on 20th street at Grand Blvd and is the Abdiana? Building with the big sign on the roof. I like how the first three floors look on that building. Yes its that building. Does anyone have any interior images of the main level or the second floor? Any additional information on it or if its for sale or any history of recent development interest in the building and why it isn't already transformed. KCroots wrote: Yes its that building. Does anyone have any interior images of the main level or the second floor? Any additional information on it or if its for sale or any history of recent development interest in the building and why it isn't already transformed. It's the Firestone Building. I'm sure some searches on Abnos (the current owner) would reveal a lot. He is known for owning empty buildings and not maintaining them all over KC. I'm pretty sure the Urban Event space is the first floor of the building. I've been in it back when they sold futons on the first floor and wandered around the upper stories as well. It's definitely a really interesting historic building with a lot of charm. KCroots- I guess you have to explain your demographic. I assumed a grandiose, high end development since you were talking about it being a type of crowning achievement to leave as a legacy to your life and family. Perhaps, I read more into it than that. That is why I brought up 1PP. That would be my thoughts on a comparable and I thought it might give you ideas on where the market is and what not to do. I agree with you about frugality, especially in the younger generation. This shows itself in their contempt for cars. They want to be very close to amenities or public transportation. This is out of a rebellion from the 'boring' suburbs that they grew up in and a desire to live life for experience instead of wealth. This might make them sound cheap, but they actually will spend good money on what is important to them. If they can be close to shopping, nightlife, grocery stores, good jobs, etc. they will pay significantly more knowing that they can get by without a car or only need one for a couple. They will be frugal to exchange it for what is actually desired--experience. This is why I would suggest being as close to amenities or the streetcar line as possible. The Abdiana would be a good development and has been somewhat of a white elephant on this board. It's sat with little to no activity and an owner who seems content to not do anything with it. It's close to bars and some restaurants but large patches of parking lots break up the walkability. It would be a great project, truly fitting of being called a legacy if developed correctly. It's development alone with good residential on the upper floors would be a great boost for the area and would sustain the businesses you have mentioned. One of the nice features about the former Firestone Building (Abdiana) is that it has a large elevator capable of lifting cars up to the upper floors. This goes back to when it was a tire dealership and car repair business. The nice thing about that feature is that if you turned the upper floors into residential apartments, it is possible to have a garage space on each floor for a unit. KCroots, it's a great building overall. Nice exterior features, and the interior spaces are all open and very well-lighted by multitudes of large windows. It also has a legal roof sign, which would be great if you wanted to advertise the building name. If I recall, all the upper floors are open space, and have not been subdivided by walls. The current owner, Nick Abnos, has not done anything with that building for years as far as developing it. Anyone who could get ownership away from him would be doing the City a service. The parking for the Abdiana / Firestone Building is here. If you could also buy the 1-story retail building to the south, you could subdivide the interior space for your bar and restaurant, and use the first floor of the Firestone Building for your apparel store. Here are some interior photos of the building. The website for the event space. There is another potential site where you could build a new structure, incorporate one older historic building, and have a underground parking garage. It's the former Muehlebach Brewery site in the River Market bounded by Independence Avenue, Grand Avenue, Missouri Avenue, and Oak Street. There are several other bars and restaurants on Missouri Avenue already, and City Market is within walking distance. It also is right off the North Loop exit ramp. Google Streetview showing the cleared lot, and the remaining Muehlebach Brewery building. You could design the site so that some of your apartments face Missouri Avenue, which has apartments already in the 525 Grand Building, City Homes across the street, and the Bridgeworks Lofts. Other apartments facing south would have nice views of downtown. You could reuse the Muehlebach Brewery Building for your bar space. Your diner could face the corner of Independence Avenue and Grand, giving it a visible, prominent corner. Your apparel store could face the corner of Missouri Avenue and Grand. Last edited by FangKC on Mon Jul 14, 2014 5:42 pm, edited 1 time in total. The Velvet Freeze building at 31st and Gillham in the Martini Corner/Union Hill area is for sale at $895k. I think it could have a lot potential as a mixed use building and could be a good location for what you are talking about. It may not be big enough for everything you have planned, but there is a large vacant lot to the north that is owned by the same entity as this building, but I'm not sure if it is for sale. There's also a smaller vacant lot to the east. beautyfromashes wrote: KCroots- I guess you have to explain your demographic. I assumed a grandiose, high end development since you were talking about it being a type of crowning achievement to leave as a legacy to your life and family. Perhaps, I read more into it than that. That is why I brought up 1PP. That would be my thoughts on a comparable and I thought it might give you ideas on where the market is and what not to do. LOL, No this development would not be any sort of crowning achievement to any type of legacy family or otherwise. My wife and I are simply very fortunate in life and although blessed in many ways we never were blessed with children. Maybe this is why we have what we have but that’s another issue. At some time I plan to sell what we currently have and enjoy my final days back where I started and thus the idea of such a project. But let me move on as I really don't care to delve into my personal life on such a public and open board. I myself am very frugal in terms of spending money when not needed but like many others I do like nice things. I agree with you regarding people in general, they too are frugal these days but they will spend money on things they deem important or needed. Who doesn’t like to be surrounded by nice things? Most people do but at the same time most people also don’t like to be gouged for their desire for nice things. This development would be very nice but very accessible and affordable with the exception of the Men’s Apparel Store, but that’s due to the fact that nice Men’s clothing and shoes have always been expensive because of their quality. The restaurant and apartments however would be very affordable simply because that’s just me respecting the fact I myself don’t like to be gouged even though I might be able to afford a nice meal or a place to live who likes to feel they are being taken advantage of or financially abused? The banks already do a good enough job of that on their own. I’m of the thinking that it’s better to have all the units rented out at a lower rental rate with longer leases than to try to gouge people over the price of the units. I think many developers make this mistake due to desperation for profit and general revenue. They fail to see the benefits of providing a very good product (Rental Unit) at a very low long term rental rate. For example it can cost a lot of money to turn an apartment. In many cases the landlord has to go in and fill holes in the wall where the previous tenant had items and pictures hung on the walls, then the unit has to be entirely repainted. Many times a new tenant also demands that any carpeting be replaced with new carpet as the previous tenant left it smelling bad or had pets or the painters spilled paint on it and had to use strong chemicals to get the paint out etc. Thus turning or doing a “Make-ready” of regular units is costly especially if you’re doing this every year and doing multiple units. People move when the “New” feeling wears off especially when they feel their rents are just not justified. By having a really low rental rate tenants often appreciate the low rental rate and have a hard time justifying any move to a new place apart from being forced due to a job transfer. Especially when they know their rent is going to increase substantially and then the hassle of the moving and mover is costly. With a lower rental rate renters are more inclined to sign longer leases to lock in the good rate, oftentimes a 2 to 3 year lease. Therefore the longer a tenant stays in a rental unit the less painting and turning the unit is required, which lowers the landlords cost which then they can pass onto the tenant. Also the more people who live in the building the better off the overall place feels. This also results in the less work for the landlord in terms of renting or turning apartments all the time. Therefore everyone wins. The restaurant is operated along the same line of thinking in terms of cost / price. When you’re paying 3 dollars for an egg plate breakfast you really can’t expect to complain because it’s a simple 3 dollar meal that’s hard to mess up, and even if it gets messed up it’s a 3 dollar egg plate. Now if you’re paying 15 bucks for the same egg breakfast elsewhere then that’s your business and I’m sure you’re the type that would expect to see the menu claim the hens are organically pasture fed and raised on an Amish farm consisting of rolling hills and the eggs are picked up by hand and then delivered to the restaurant each morning in a hybrid / electric delivery truck just after they were laid. If that’s your cup of tea then go for it, I just want a place where I can go downstairs at any time of the day or night and get something simple and cheap to eat. I personally like pizza especially the homemade kind and that’s why the added pizza to the menu. I just like to eat simple easy cheap meals like a Waffle House serves. You know eat an omelet or have some fried eggs and the option of being able to have a waffle or pancakes with sausage patties or something like that. Then in the afternoon or late night maybe order a healthy homemade pizza without all those chemical preservatives, or a simple patty melt. I’m just not the type to eat at Michelin Star restaurants every day. I personally prefer to go the simple route. I don’t like to pay too much for such simple things, and I don’t expect others to either. Water in a restaurant should be free, refills on fountain sodas should be free, and the meals should all be under 10 dollars in such a simple diner, unless you’re getting steak and eggs meal, but that jut goes without saying. The same thinking applies with the restaurant that goes with the apartments, I think if you have a decent low price and decent service your tables are always full and you make enough money to support the place. It’s better to make a little money on a lot of tables than to have a half empty restaurant where you’re trying to make those few tables / customers support the entire operation. I also feel apart from investing in the community with such a development is the low prices at the restaurant and rental rates of the apartments are a more important way to give back to the local community. There is nothing more aggravating to me than some new trendy cheaply slapped together loft / apartment development that feels they have to charge outrageous prices so the “investors” can make their money back in 8 years. Then the building is falling apart and in another 15 years will be bulldozed and replaced with something new to win investors more money. Such greed is aggravating to me. 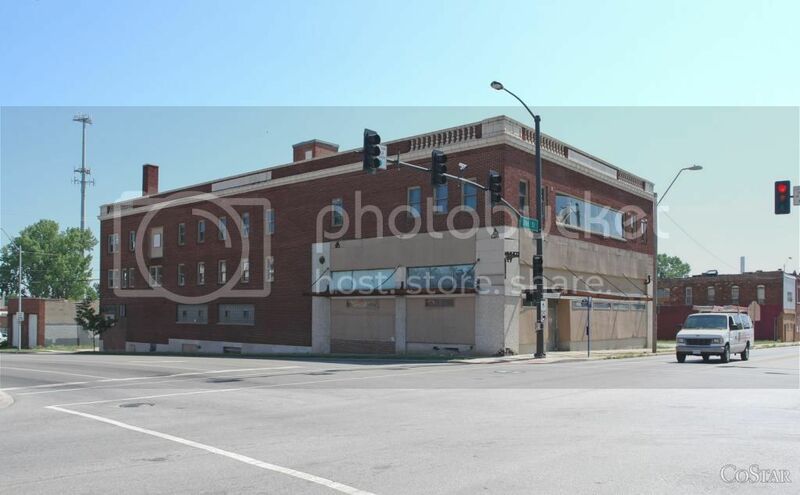 As for this Firestone building, I really don’t know much about the building but if the owner is the type to sit on properties and this has been one of those properties, then it makes buying it much more difficult since he doesn’t have any motivation to sell. Maybe if this project is meant to be then things will happen if not then it’s off to other areas to consider. That and the fact I am just really getting started researching all the options. 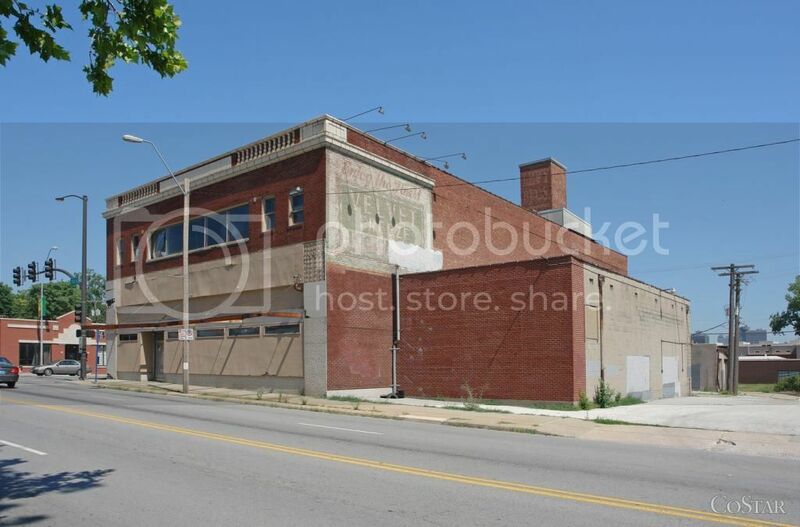 KCtoBrooklyn wrote: The Velvet Freeze building at 31st and Gillham in the Martini Corner/Union Hill area is for sale at $895k. I think it could have a lot potential as a mixed use building and could be a good location for what you are talking about. That’s actually a neat building with a decent price and the first floor would make a great diner / restaurant. What was its original use? Yes much smaller building than what I originally had in mind but I am flexible and open, especially with the possibility of the lot next door. For the price and the looks of this place it could easily purchased and then see investing about 3 million and just having it as a restaurant and apartments on the 2nd and 3rd floor. FangKC wrote: One of the nice features about the former Firestone Building (Abdiana) is that it has a large elevator capable of lifting cars up to the upper floors. This goes back to when it was a tire dealership and car repair business. The nice thing about that feature is that if you turned the upper floors into residential apartments, it is possible to have a garage space on each floor for a unit. Thanks for the images and information on the Firestone building. Yes a very nice building indeed but it might be too much in terms of attention or task to take on such a high profile historical building project. I’m rather low key and reserved, not one for the spot light at all, so this Firestone building might just be more than I want in terms of such attention or pressure to get it historically correct. I will say the building has a lot of character and I feel Id be better off trying to replicate it to some limited extent rather than taking on this particular project. It's called the Velvet Freeze Building, because of the faded Velvet Freeze Ice Cream sign on the side of the building. I don't know if that building actually housed a Velvet Freeze Ice Cream business, or if they just advertised on the building. It's a high profile location since it's on the Martini Corner corridor, which already has restaurants and bars in older buildings to the west on 31st Street. Apartments are being built to the north as part of the Union Hill redevelopment. Not far to the south are all the renovated apartment buildings along Armour Boulevard. There are large employers in the area including Hallmark, Children's Mercy Hospital, Truman Medical Center, the Federal Reserve Bank, the Internal Revenue Service, Assurant, as well as several large law firms in Crown Center. The one thing I would mention though is that a church bought the El Torreon Ballroom building across the street to the south. Having a church in that building could affect your ability to get a new liquor license because of being in proximity of a church. The other bars on Martini Corner would not be affected by the church because their liquor licenses existed before the El Torreon Ballroom becomes a church. The Velvet Freeze location would only be conducive for the restaurant and a handful of apartments, but not the bar or apparel store so a liquor license wouldn’t be needed. I’m going to gout on a limb here and assume the name “Martini Corner Corridor” comes from the many old little bars that line the corners of the neighborhood. What a shame to see such changes but again it is what it is. Progress and change! The Velvet Freeze would be a prime location for such a diner. Soon there will be an additional 300 people living on Union Hill in the new apartments and homes. The little coffee shop down the road is always packed. In addition to the large local population in walking range, there is good visibility from 2 arterial streets and lots of street parking.